This is a new blog and there are things to catch-up with, so this post is about two related research papers I tweeted earlier in the year. A more appropriate title would have been, ‘Meaning in Life and Connection to Nature’, but I felt that was a rather challenging title for a first post! As it’s the first post let’s try to quickly cover some basics. As you’re already reading this, it’s likely you know about the state of nature and need for people to have a greater connection to nature, as being connected to the natural world is associated with greater pro-environmental behaviour and our own well-being. Nature connectedness is good for nature and good for you! So how do we get people more connected, or reconnected to nature? That’s the main focus of my research just now, looking at the interventions and activities that can engage people with nature and increase connectedness to it. They’ll be future posts that tackle that question head-on, but there are other associated questions being studied. For example, how does being connected to nature increase our well-being? Having some answers to this question can help find answers to the first question. Back to the basics, it’s worth having a little think about what nature connectedness is – we could get bogged down here, which is kind of the point, it’s pretty fundamental stuff about our sense of self and our shared place in nature as biological beings able to make sense of the world. Actually though, it’s pretty straightforward, we’re part of nature. The more interesting question is why we tend to forget this. Over the centuries, modernity has led to statements such as “The world is made for man, not man for the world” by Francis Bacon, an originator of modern science. For more on our place in the natural world, from a variety of perspectives, try Alva Noë’s book ‘Out of our heads: Why you are not your brain, and other lessons from the biology of consciousness’ or David Abram ‘Spell of the Sensuous: Perception and language in a more than human world’ or less specifically and more concisely, Nan Shepherd’s ‘Living Mountain’. A book blog post is one for the future. All this brings us to the main point of this post, a couple of recent research papers I tweeted back in January. First up are Howell, Passmore and Buro, who found that meaning in life is part of the story of the link between nature connection and well-being – there’s been a recent BBC news article about similar work into purpose in life and well-being. The second paper I tweeted back in January is by Kamitsis & Francis, a study about spirituality, engagement with nature and our well-being. Spirituality is another big notion that can be easier to shy away from. We could get bogged down again, but let’s just go with the definition used in the paper. Spirituality relates to our inner experience and beliefs that give meaning to existence and go beyond the current context. The authors point out the link to indigenous people’s strong spiritual connection to nature, which returns us to nature connectedness and the shared place native peoples often occupy in the natural world. When Kamitsis & Francis looked at the role of spirituality in the link between connection to nature and well-being, they found that being engaged with, and having a sense of connection to nature was linked to both greater spirituality and mental well-being. With spiritualty being a possible source of the increased well-being. The two studies together suggest that finding meaning to our existence in a shared natural world is both part of nature connection and a likely part of the positive impact on well-being. 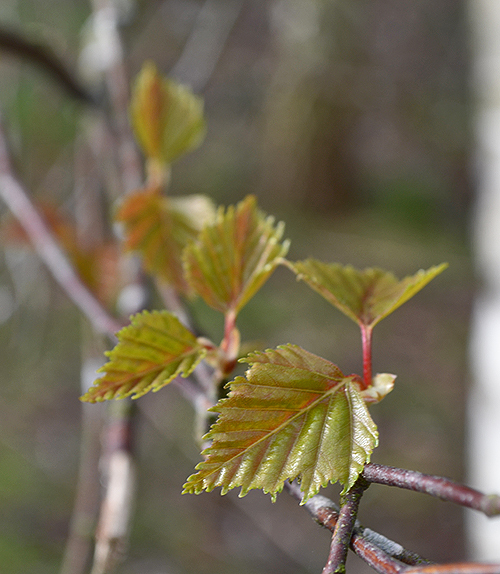 So, finding wonder in a birch leaf or a singing blackbird, and feeling part of their world is both good for us, and part of the reason for it being good. Or more succinctly, fed by the forest, life makes sense.